Emirates Post Group has targeted a 20 per cent rise in international parcel volumes in 2014, driven by lower rates, increased demand from expatriates and faster delivery times due to a strategic partnership with Emirates airline. This follows a 10 per cent growth in international parcels and EMS (Express Mail Service) shipments in 2013, to destinations mainly in Europe, Indian Subcontinent, China, the Philippines and GCC countries. The delivery period to most markets has now been reduced by two to three days. An international parcel booked through Emirates Post is thus delivered in 5 to 7 days, at a cost that is just a fraction of what courier companies charge. “We have made several enhancements to our international parcel and EMS product. This should come as great news to the expatriate population in the UAE, especially in view of the approaching summer holiday period when people can send stuff to their families through post, instead of paying exorbitant rates for extra baggage,” said Ibrahim bin Karam, Chief Commercial Officer, Emirates Post Group. In the first two months of 2014, parcels booked at Emirates Post offices saw an increase of 14 per cent, and EMS witnessed a jump of 25 per cent, compared to the corresponding period in 2013, Bin Karam added. 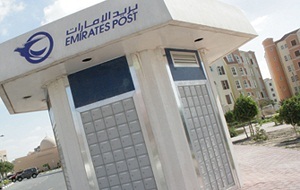 Market-wise, Emirates Post is offering real value for money for those sending parcels to foreign destinations. Parcel rates to Indian destinations have been reduced by 20 per cent from May 1, 2014. 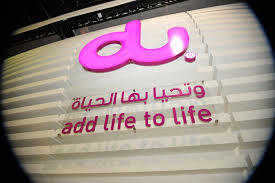 Customers now pay AED8 per kilo for the surface (SAL) Parcel Service and AED13 per kilo for the Air Parcel Service. There are no weight restrictions. Customers are charged on a per-kilo basis. Emirates Post also runs a speedy EMS (Express Mail Service) to India, which charges AED75 for the first half kilo, with delivery within 3 days. The parcel rates to all destinations in the Philippines have been reduced to AED 8 per kilo for the surface (SAL) Parcel Service and AED13 per kilo for its Air Parcel Service. There are no weight restrictions. Customers will be charged on a per-kilo basis, irrespective of the total weight. The EMS Service to the Philippines charges AED 62.00 for the first half kilo, with delivery within 3 days.